A custom stamp is a very affordable way to accentuate and transform your paper designs. 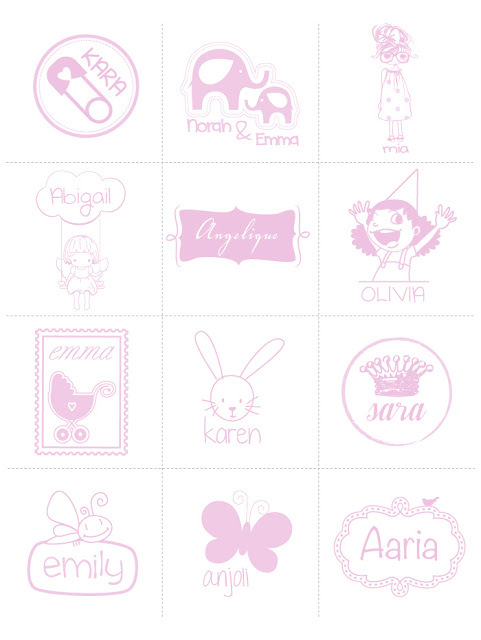 Here are some stamps for little girls. You could use plain black ink or a lovely soft pink to add more oomph to your designs!